The issue of land is a very sensitive issue. To say that land is very important is an understatement. Land is in fact the life-line of our people, over ninety percent of whom still live in the rural areas depending on their land for survival. Therefore, it is not something we regard as trivial, since it can lead towards a serious conflict. Wasn't the struggle, albeit on a grander or larger scale, a struggle for land, our land? At the conclusion of Part I, I asked the following question: Would these folks fit the description of the "land-grabbers" as well, in Ali Salim's convenient dichotomy? Those folks being the lowland people who may have settled in Gash from Barka, Marya, SenHit, Sahel, etc. My point was that there has been migrations in Eritrea and it is not only the Christian Highlanders that have migrated to the Gash-Setit area. (See, "Peasants and Nationalism" referenced below for example). But it's the Christian Highlander that has been attacked viciously by Ali Salim and company as chauvinist, "Shifta" (bandit), "land-grabber", etc., taking the fertile lands in the lowlands from the indigenous people. A person can be all that: chauvinist, bandit, a land-grabbing thief. To accuse a whole ethnic group of people in such a way is an unforgivable blunder. Name-calling ("tserfi") is not an argument; people resort to "tserfi" when they lack credible argument. Ali Salim does not even tell us which, where, or what land he is talking about. Under this blistering attacks, though, the Tigrigna are made to feel guilty essentially for the sins of dictator Isaias Afwerki, a fellow Christian Highlander who, supposedly, is directing the "shifta" and "land-grabbers" to take the land from the lowlanders. The Christian highlander is supposed to cower in their corner and feel bad about what the fascist dictator is doing to the lowlanders, fellow Eritreans, supposedly in the name of the Christian highlander. We should refuse to feel guilty by association! Hence, while it may not have been framed or stated in those terms by its proponents, the implication is clearly obvious: guilt by association. We know Isaias Afwerki is not really doing what he does in the name of the "Tigrigna". He is doing what he does to perpetuate his power, to keep his government intact, to keep his rule over our people for as long as he can. Even if he were doing it in the name of the Christian highlander though, the fair-minded would not associate it with the rest of the highlanders because the Christian Highlander did not give Isaias such a mandate. Any Christian highlander does not need to apologize for what Isaias is doing; because, again, he is not doing what he does to the benefit and interest of the Christian Highlander, but to benefit himself. In fact the opposite is happening: he is persecuting Christians too. Hasn't he effectively imprisoned the leader, the Patriarch, of the Orthodox Church?. He has persecuted other Christians as well. Isaias Afwerki definitely is not working for the Christian Highlander! A reader wondered about the subject of land around Asmara. Indeed, "Land-grabbing" has been going on for generations around the capital. The villages around the capital, the so-called Kebabi, have lost most of their land to the city, while, at the same time, their populations exploded. These villages (Adi Segudo, Adi abeito, Qushet, etc.) have gotten very little compensation, if at all, for their land taken away by successive governments. (Villages such as Sembel, Bet MeKa', hadamu/arbaEte-Asmera, and others have become effectively part of Asmera). The current government simply takes the land which it has declared as government property in its proclamations in the 1990s. That is what totalitarian governments do. They don't get their authority from the people; they take it by force from the people. Thousands of Eritreans from across the country (yes, Christian and Moslem, Lowlanders and highlanders) have acquired or been given land of the Kebabi to build homes. In recent years the expatriates with enough dollars, euros, or pound sterling from around the world can purchase land for building homes in and around Asmara. Again, the people of Kebabi have no say whatsoever in the matter, the matter being their own land. Funny, we do not hear even a slight concern or sympathy expressed about the Kebabi from those advocating for indigenous land. (The recently released manifesto, "Eritrean Covenant..." lists historical atrocities committed in the lowlands, such as whole villages being destroyed by the Ethiopian army, but utterly fails to mention even in passing similar atrocities perpetrated in the highlands, the Kebabi to be specific, in the mid 1970s. How many villages around Asmera were burned to ground in those days? This writer's ancestral village was one of them. Are we talking about the same Eritrea here? I am therefore tempted to ask the following questions: What is the real issue here? Is it truly "land-grabbing", again to use Ali Salim's language? Is it in general the issue of equality or lack thereof? Is it political power being in the hands of the so-called Tigrigna (the Eritrean-Tigrayans, as Kunama activists like to say, or Abyssinian Highlanders, as one scholar refers to it)? Or is it some revisionist history about the struggle going back 60 years that some like to bring about? In other words, is there an ulterior motive here? We have the right to ask! After all, Ali Salim has written a lot of outrageous stuff insulting a lot of people, and, most ominously, even threatening us with the disintegration of Eritrea, if (fill-in the blank) we do not agree with him, we do not condemn all CH, we do not accept his theories and do something about them, etc. Many have read his articles, therefore, no need to repeat them here. Suffice it to say that his and others' crocodile tears regarding the Kunama land notwithstanding, we have to tell them that perpetrators of Kunama atrocities in the past were "both Abyssinians as well as the Beni-Amer" (see, for example, Jordan Gebre-Medhin's 'Peasants and Nationalism in Eritrea', pgs. 158-161, 1988, Red Sea Press). If you don't believe that, ask the Kunama! As the saying goes, 'people live in glass houses, should not throw stones'! I don't know where Ali Salim comes from; but whether he is a Ben-Amretai, Kerenite, Barayay, Kunama, or even a highlander, is not important. I would not hazard a guess either. I rather leave it to the readers' imagination. As the Tigrigna saying goes: nAshan DerguHalu kndey keyfelTo, nlebamini amtelu kndey keysHto. I believe the reader is intelligent enough to sort this out. 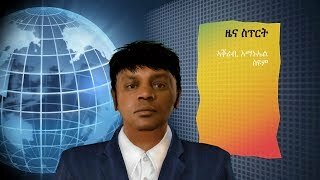 Unlike Ali Salim's angry diatribe, Ahmed Raji ('The Lost Rainbow', Awate.com) gave us the problem of inequality, for example, in cold statistics showing us, in no uncertain terms, the dominance of the "Tigrigna" ethnic group in lower, middle, and upper government positions in Eritrea today. He also gave us his learned opinion that might be useful to fix the problem. His analysis shows that the current discrepancy in government policy-making and management positions are worse than it was even during Emperor Haile Sellassie's rule in the sixties and seventies. 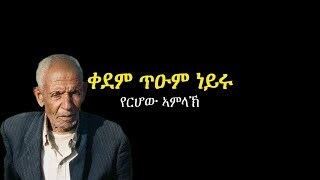 His analysis clearly shows the failure of this government (PFDJ) in all spheres of life, as the opposition have been saying for a long time. 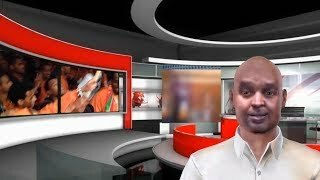 We should be proud of people like Ahmed Raji who dispassionately analyze the issues by asking the right questions including the origins of the problem, policy formulations of the failed PFDJ regime, the denial of equal employment opportunities to Moslems, what, if any, the current "government has done to remedy the situation", and finally, give us their learned opinion, recommendations, and solutions to the problem. The problem as well as the solution is apparent to the fair-minded person. Emotions are fine sometimes but not when the issue is the well-being of our people and the survival of Eritrea as a country. We are not a special people; we are not different from any other people or country. The evil we have seen perpetrated around our region or around the world in the name of region or religion, can happen to us as well unless we address our problems honestly and dispassionately. It does not have to be appeasement. I always ask myself a fundamental question whenever social and equality issues are raised. What did we fight for? Wasn't it for self-determination and self-governance? You can give it a lofty name such as "independence", "freedom", "liberation", or any other fancy one you wish. 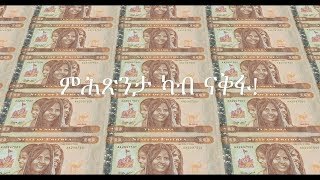 If you ask any Eritrean, they will perhaps use all these ones, but they may also tell you that it was simply to be left alone and to govern your own village, town, or Awraja. Didn't we Eritreans reject being ruled by outsiders sent from the central government in Addis Ababa? Forget the Italians or the English, that is obvious; but we even rejected being told what to do by Addis Ababa. How can we forget that history and deny self-governance to our local populations? Why would we send a Tigrigna-speaking governor from Asmara to administer Keren, Aqurdet, Barentu, or Massawa? Or vice-versa? Therefore, to me the issue of equality is the issue self-governance as well. The PFDJ has violated all that. Most importantly, they have violated the people's trust. They have not even allowed the rural villages to govern themselves as they traditionally always have, even during Italian colonial times. Well, of course, then the problem is fundamentally the PFDJ regime, not the Tigrigna or Christian highlanders that Ali Salim and others are accusing. Guilt by Association is unfair and it does not work. The Eritrean people own their land; and it is up to the Eritrean people to find a solution for the problem of land. Taking land from one person and giving it to another is illegal and immoral. The culprit is again the PFDJ government; let's fight the PFDJ not blame or accuse the Eritrean people, the victims of the dictatorial PFDJ regime.